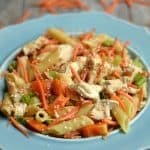 This is a simple recipe that can be made in less than 20 minutes. I love the variation of sundried tomatoes, asparagus, and artichoke hearts. 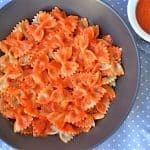 Although I painfully watched my kids pick out the tomatoes and artichoke hearts, my husband and I agreed this was the best part of the pasta! It’s still a win if they ate the nuts and asparagus, and both commented on how much they loved it. Bring a large pot of water to a boil and add pasta. Cook until barely tender, around 8 minutes. Add the asparagus spears to the pasta water. 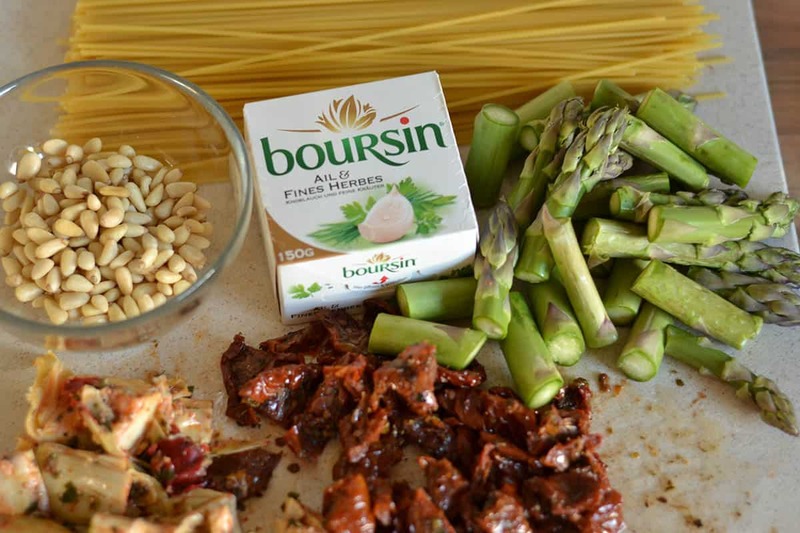 Cook an additional 3-4 minutes, until asparagus is tender crisp. Drain the pasta and asparagus, and reserve 3/4 cup of the cooking water. Set a large pan over medium heat, and heat the olive oil or butter. Add the garlic and cook until fragrant and lightly browned. Return the asparagus, pasta, and cooking water to the pan. Add sun-dried tomatoes, boursin, artichoke hearts, and salt and pepper to taste. 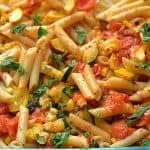 Serve immediately, add pine nuts and optional parmesan cheese. Sounds like a real taste explosion 😉 ! 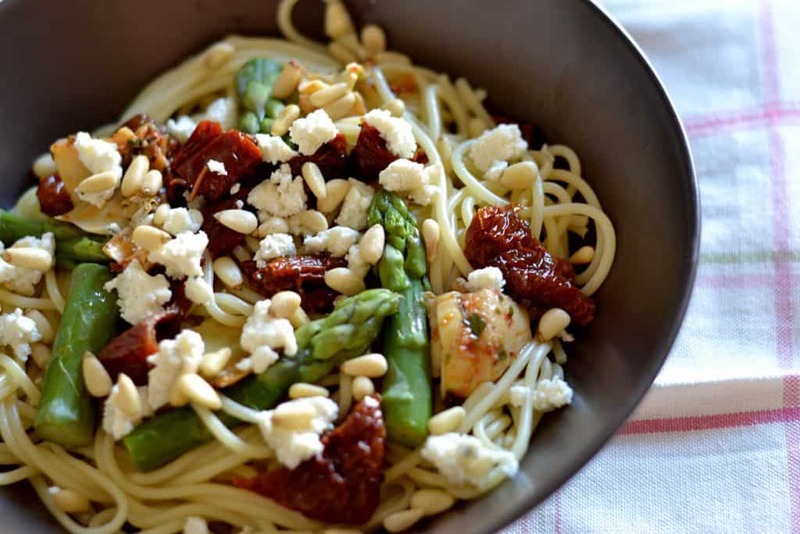 The combination of sundried tomatoes, asparagus and artichokes sounds great. I love all three of ’em.